BitDefender Antivirus Scanner for Unices is the command line antivirus scanner built for both Linux and FreeBSD systems. It includes the certified BitDefender Antivirus Engines and provides on-demand anti-malware scanning for both your UNIX based and Windows based partitions. Linux operating systems have been considered less vulnerable than Window’s systems for many years – but the myth that they are “immune” to virus attack is completely false. The Linux platform’s early survivability was primarily due to the lack of root access required for malware to infiltrate the system, the Linux community’s ability to quickly patch vulnerabilities, and the low adoption rate of Linux in the corporate network. This made Linux a lower priority target for the writers of malware. However, that priority is changing quickly as the Linux platform’s popularity catches on in the Enterprise. In many organizations UNIX-based workstations are becoming popular as a cost effective computing resource. Common services such as email and Web-based services are easily accessible for those UNIX-based workstation users as their Windows-based counterparts. As UNIX-based endpoints become easier to use for workforce employees - with the addition of GUI’s and Window’s compatible applications - their adoption within small to medium businesses network is virtually assured. When unprotected, they will provide “just as easy as Windows” access for malware to spread within the company’s network via shared files, cross-platform viruses, worms or email attachments. A wide set of options is available for BitDefender Antivirus Scanner for Unices users: you can scan for viruses and other malware, single or multiple files, set different antivirus actions based on the scan result type, quarantine detected files or create reports and log files with the scan result. BitDefender Antivirus Scanner for Unices configuration supports per-user settings. Along with a system-wide configuration file in which all product's settings and default options can be specified, the product supports a similar file for each user which can override partially or completely the system-wide settings. 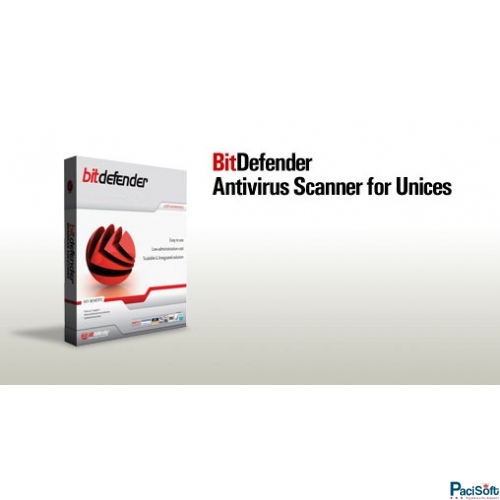 BitDefender Antivirus Scanner for Unices may be used free of charge at home or on your personal computer. In case you want to use BitDefender Antivirus Scanner for Unices for business purposes, a registration key must be purchased through the BitDefender Online Store or from BitDefender certified partners. 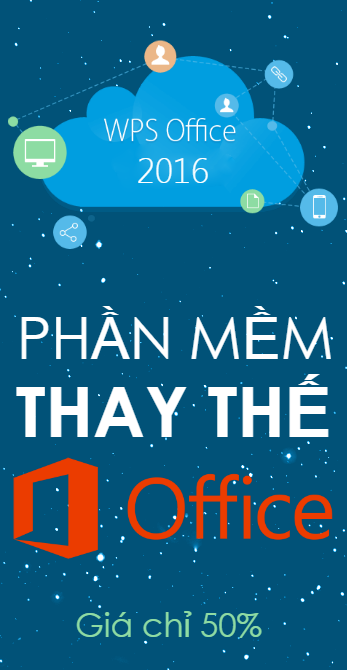 The update process is incremental so that only the modified files are downloaded. In order to keep your scanner up to date we recommend scheduling the update process using services like cron. BitDefender Antivirus Scanner for Unices provides antivirus and anti-malware scanning capabilities for both Linux and FreeBSD. Antivirus - In addition to signature based detection, BitDefender provides heuristic detection that emulates a virtual computer-within-a-computer, checking all files and code for malicious behavior. This technique produces fewer false positives and significantly higher detection rates for zero-day and unknown threats. 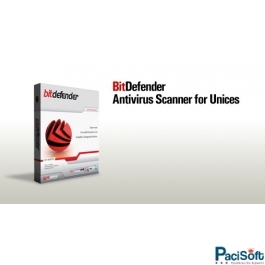 BitDefender Antivirus Scanner for Unices can be configured to automatically update product or new virus definitions via the internet. If the automatic updates are not configured, manual updates can be initiated anytime from graphical or command line user interfaces. Trojans and Root Kits - are designed to allow remote access to a computer system. Once a Trojan or Root Kit has been installed, it is possible for an attacker to access the system remotely and often leads to data theft. Detecting and preventing these types of threats manually can be time consuming and often lead to a complete system reinstall if improperly removed. BitDefender’s antivirus scanner does not only relying on lists of known threat signatures, but provides heuristic detection that emulates a virtual computer-within-a-computer, checking all files and code for malicious behavior. This technique produces fewer false positives and significantly higher detection rates for zero-day and unknown threats. Antispyware - Using a muti-layer approach, BitDefender Antivirus Scanner for Unices detects known spyware and adware to prevent outbound data leakage. BitDefender optimizes their security solutions specific to each platform, ensuring minimal system degradation and maximum operational performance. To ensure compatibility with all major UNIX-based platforms the BitDefender’s UNIX-based solutions are delivered as rpm, deb and generic .tar.run packages.